In the past, Triazolam was commonly prescribed by physicians for people who frequently change time zones, such as business people and politicians going overseas. However, this practise has been discouraged because on occasion, these people would wake up with total amnesia and have no knowledge of where they were going. In rare cases, paranoia would ensue. Questions exist about its safety because it has a fairly narrow therapeutic window. Also, some have suggested that it causes hallucinations, amnesia, paranoia and verbal and physical aggression. Halcion belongs to the Pregnancy Category X of the FDA. This means that it is known to cause birth defects in the unborn baby. On October 2, 1991, the Committee on the Safety of Medicines (CSM) banned sales of Triazolam in the UK after concluding that it had a higher frequency of psychiatric side-effects than other hypnotics (sleeping pills). 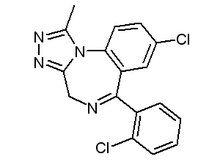 Internationally, triazolam is a Schedule IV drug under the Convention on Psychotropic Substances.